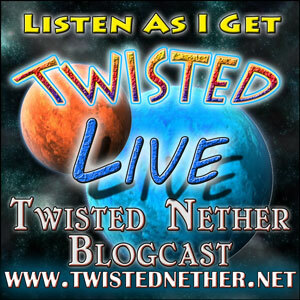 Episode 237 – “Five Oh First!” of the Twisted Nether Blogcast released yesterday for the special price of free! What a Black Friday deal! Hydra and Fimlys had me on the show, and I had a great time. I can’t thank them enough for letting me join them. 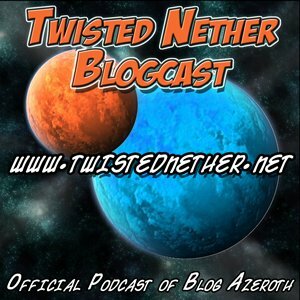 The Twisted Nether Blogcast is a podcast about the WoW blogging community. We discussed how I got started blogging, tips for new bloggers, what I like best in WoW, my gaming history, and a lot of other topics. I was the first guest since the release of Warlords of Draenor, so of course we discussed that a bit as well. Grab the episode, and if you enjoy it, subscribe to the podcast! Episode 237 – Five Oh First!, Hydra and Fimlys, Twisted Nether Blogcast, 11/28/14. This Sunday at 8:00 PM PT, I’ll be a guest on the Twisted Nether Blogcast, a podcast about WoW blogs, their bloggers, and blogging. It’s the official podcast of Blog Azeroth, a forum about the WoW bloggers community. Blog Azeroth is also the organizer of the Blog Azeroth Shared Topics, weekly suggested blogging topics that encourage the community to discuss the same prompt. I haven’t responded to any in a while, but I used to do it regularly. Listeners can tune in live if they want as well. More information can be found here. Of course, you can also check out the episode after it’s recorded!